The series is being developed by Chris Sonnenberg (‘Enchanted‘) and Shane Prigmore (‘The Lego Movie‘) and is set to premiere in 2017 on Disney Channels the world over. In addition to the starring voices being the same, we will be treated to music by the great Alan Menken and lyricist Glenn Slater who provided song and lyrics for the original movie. 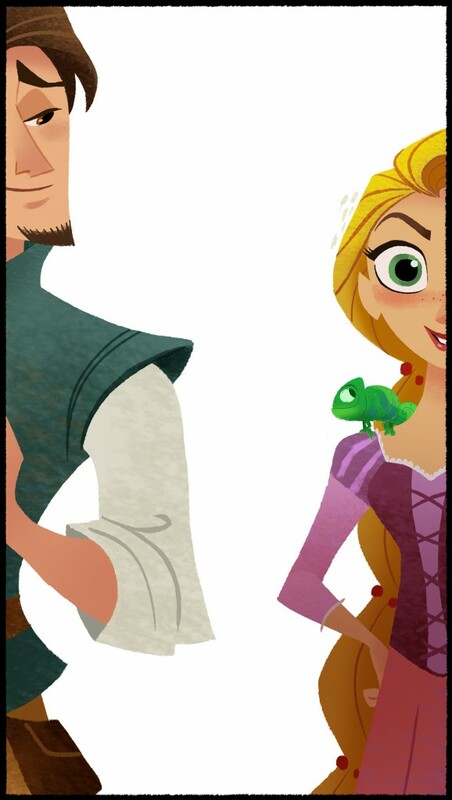 The timeline for the film is set between the big screen film and the 2012 short film, ‘Tangled Ever After‘. Rapunzel familiarizes herself with her parents, her kingdom and the people of Corona. She has trouble accepting she is destined for royalty and her insatiable curiosity over-rides her crown and marriage by putting each on hold to indulge in her adventurous desires. Familiar characters from the film will reappear in the series like the color-changing Pascal, the duty-bound Maximus and the Snuggly Duckling Pub Thugs, add them to a newcomer, a tough handmaiden who becomes Rapunzel’s friend. Well-developed characters, addicting music that grabs hold begging you to sing along, an open-ended storyline that can go just about anywhere all backed by Disney – this will become a new favorite of mine for sure. This entry was posted on Wednesday, June 3rd, 2015 at 3:23 pm	and is filed under Film, News, Television. You can follow any responses to this entry through the RSS 2.0 feed. You can skip to the end and leave a response. Pinging is currently not allowed. « Disney’s Next Live-Action Project Comes From ‘Fantasia’!! !